الشركة المصنعة: go never stop ! 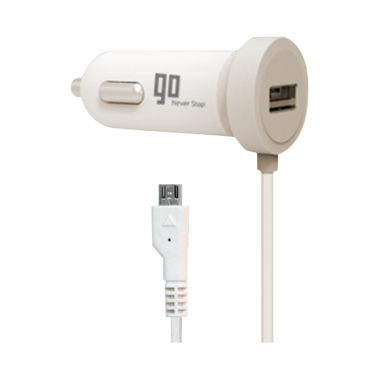 Go Car charger with MicroUSB connector and extra USB that can deliver 2.1A output for fast charging suitable for most of Samsung, Blackberry, LG, HTC, Huawei models and others using attached cable. Easily connect the car charger to your car cigarette lighter port, and connect the MicroUSB connector to your phone.